Enjoy exclusive treats and interact with your favorite celebrities at the Unilever mid-year sale! 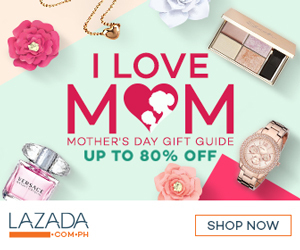 Happening only in Lazada this July 18-25. MANILA, JULY 2018 – Fans of Lazada and Unilever are definitely in for a mid-year treat! This July 18-25, Lazada and Unilever will be giving away heaps of surprises from the country’s iconic and favorite brands: Tresemme, Surf, St. Ives, Dove, Pond’s, Cream Silk, Pureit and a lot more! EVERYDAY SURPRIZES: The first daily 100 shoppers to use the code “ULMIDYR20” will automatically get a prize from Lazada*! Which of these freebies will shoppers go crazy over? July 19 | 12:00 noon –FB Live with Dimples Romana for Pureit. If you’re lucky, you can win 1 of the 3 Pureit Excella units up for a raffle! Each unit is worth PHP 4,998 ! Remember to visit this page from Jul 18-25 and all roads lead to the #ULMidYrSale#LAZxULMidYrSale!